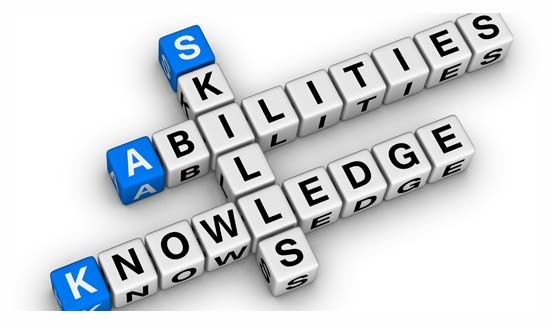 Skills are a form of currency in the working world. The more skills you have, the more valuable you are as an employee, which means you’ll be more attractive to more potential employers, you’ll be able to make more money, and you’ll be able to do more once you land your ideal position. Unfortunately, many workers immediately zero in on niche skillsets that are only useful for their specific area of expertise–for example, a coder might learn techniques for dozens of different programming language. This is good, as it makes you a better fit for those specific positions, but there are some general skills that are far more important. 1. Effective Communication. No matter who you are, where you work, or what line of work you’re in, communication will be a critical factor in your ultimate success. It might be communicating information to a client, communicating your needs to a supervisor, or collaborating with your peers. It might be mostly phone-based, mostly written, or mostly face-to-face. In today’s world, the forms of communication are practically limitless, but the baseline skills responsible for ensuring that communication’s success are fundamental. Say what you want to say concisely, accurately, and appropriately, and try to maximize the effectiveness of your messages by choosing the proper mediums for them. 2. Organization and Management. Organization skills help you better handle the responsibilities before you and ensure they are executed properly. Being organized means you’ll be more likely to get to work on time, more likely to prioritize your tasks effectively, and more likely to seek proactive solutions to problems before they even become problems. Management skills are also useful in any position, even when you aren’t directly managing other people. For example, you’ll be able to better manage your resources, better manage your time, and better manage your workload. Without organization and management skills, even the most capable workers often fall behind or make critical mistakes. 3. Negotiation. Negotiation, as a skill, comes from equal parts persuasion and confidence (which I’ll touch on later). It’s a useful tool to have in almost any position, and having it during the job interview process can also guarantee you get the best position possible–for example, if you negotiate strongly, you could earn yourself a higher salary or more competitive benefits. In the context of a job, you can use negotiation skills for obvious purposes like securing new clients or striking deals with potential partners, but it’s also useful in getting last-minute help, decreasing potential points of resistance, and lower total costs of operation. 4. Critical Thinking. Critical thinking is a process of problem solving that allows you to find and address potential weaknesses or fault points in a given environment. It allows for more creative solutions to potential problems, faster assessment of bad situations, and greater pattern recognition in large systems, and its applications are practically infinite. Critical thinkers are capable of acknowledging, analyzing, and solving problems without much–if any–outside influence, and they’re always looking for possible improvements to add to the system. 5. Teamwork and Delegation. While some positions rely on collaboration more than others, you’ll always have some level of teamwork to manage in the workplace. When you first start off, that might mean working with your supervisors and a few of your peers, but in your future, it could mean delegating work to your subordinates. Knowing how to work with others effectively and how to play to individuals’ strengths is a key skill necessary for success in this area. The better you know how to work in groups, the better you’ll be able to collectively perform. Without teamwork skills, you’ll end up slowing the operation down. 6. Research and Analysis. Research and analysis skills come into play for nearly every conceivable position. Marketers need to research and analyze their campaigns for possible effectiveness. Salespeople need to research and analyze their potential leads. Engineers need to research and analyze potential new technologies. Even personal assistants need to research and analyze various travel plans. Being able to quickly find information, review that information, and recognize key patterns is essential for practically any job function. 7. Confidence. Confidence might seem like a trait, but it can be gained, honed, and developed just like a skill. You can increase your confidence in some areas through sheer practice; the more often you do something, the more confident you’ll be in doing it. In other areas, confidence can be a product of your practiced habits. For example, if you work on improving your body language, improving your elocution, and thinking positive thoughts, you’ll naturally come across as a more confident person, and you’ll feel more confident in your regular actions. Confidence leads to greater respect, greater precision, and greater efficiency all around. Some of these skills develop naturally over time as you gain experience in the professional world, but for the most part, you’ll need to seek them, acquire them, and hone them like you would with any other skill. Dedicate yourself to improving each of these individual areas, and maximize your chances of getting hired and succeeding in your position.